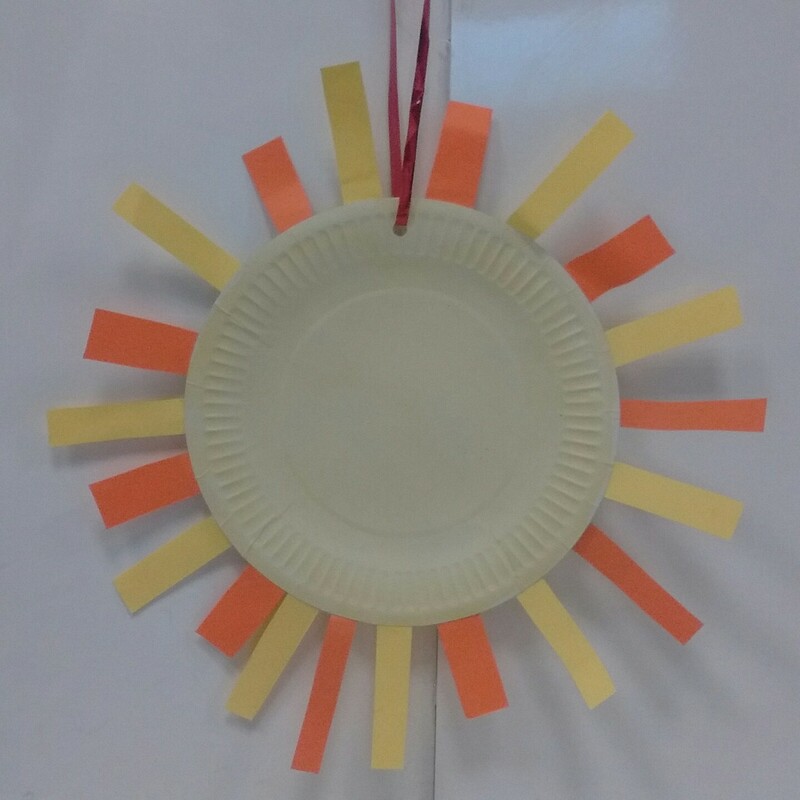 For the first in a series looking at the weather, we made a sun to hang up. Paint the plates yellow and allow to dry before you try to do anything else. Glue strips of paper round the outside of the plate. Punch a hole near the edge of the plate and thread a length of ribbon or string through so that the sun can be hung up.